Wait, Hyundai still sells the Azera? In case you missed it, sedan sales in the US are continuing their downward spiral due to the massive popularity of crossovers. Sedans of all sizes are hurting and the latest victim is the Hyundai Azera. The South Korean-based automaker has just announced that the full-size, front-wheel-drive Azera will not return for 2018, but in this particular case, CUVs aren’t the only reason for its demise. The final deathblow came from the new Genesis G80 and G90, the two premium sedans from the newly created Genesis luxury sub-brand. The Azera was originally intended to be a Toyota Avalon competitor, but it never really caught on. Hyundai admits that the Azera was "on the periphery of purchase consideration" for lots of customers. Through last month, Azera sales were down by 30 percent from the previous time in 2016. 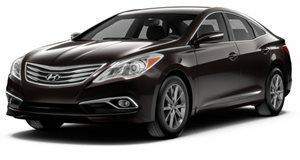 Up until 2008, when the Hyundai Genesis launched, the Azera was the most expensive model in the lineup. We doubt few will miss it, but we can’t honestly say the same about the Veloster. 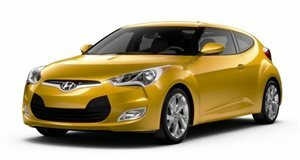 Hyundai is also stating that its three-doored hatchback will be taking model year 2018 off. The Veloster will be built through the rest of the calendar year, but after that the current car is a goner. However, we’ve seen plenty of evidence that it’ll return completely redesigned in the near future. Developed as part of its N Performance brand and dubbed the i30 N overseas, the next Veloster (if the name is kept) will be a fully modern competitor to the likes of the Ford Focus ST and new Honda Civic Type R.
Completely redesigned for 2019, does the Veloster have what it takes to be the best hatchback on the market? The Veloster took a model year off from production, now it’s back and better than ever.